A comprehensive 1993 update to the ideas presented in How The Racers Ski, with emphasis on carving and boot alignment, but much more. Warren Witherell and David Evrard. Another must-have. The first comprehensive effort to bring world cup technique and equipment prep to the general skiing public. Still one of the best references for high performance skiing. A must for every serious skier’s library. While former pro racer Densmore Ballard draws heavily on her racing experience and this is a great resource for aspiring junior or master racers, there is much in Faster that can enrich the ski life of any skier. The travel and packing advice alone is worth the price. 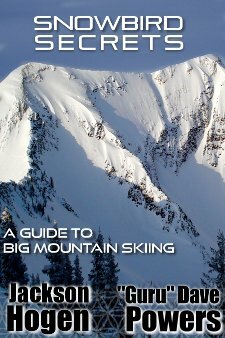 Blues and Blacks is nothing short of a pocket encyclopedia on skiing, including concise information on technique, North American resorts and anything that has to do with skiing.